Authorities say a former child star on the sitcom “Moesha” has been arrested on suspicion of drunken driving in Arizona. 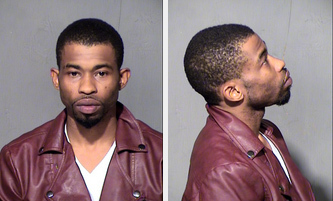 The Maricopa County Sheriff’s Office says 28-year-old Marcus Paulk also is suspected of possessing marijuana and drug paraphernalia. Paulk appeared on the UPN sitcom that ran from 1996 to 2001 and also featured the singer Brandy. Authorities say shortly after midnight Sunday, a Maricopa County deputy saw Paulk drive dangerously close to a fire truck stopped on the side of the road with its emergency lights flashing. The arresting deputy says Paulk smelled of alcohol and had a bag of marijuana in his pocket. A judge set bail at $2,000, and the sheriff’s office say Paulk has been released. Paulk or his agent couldn't immediately be reached for comment.